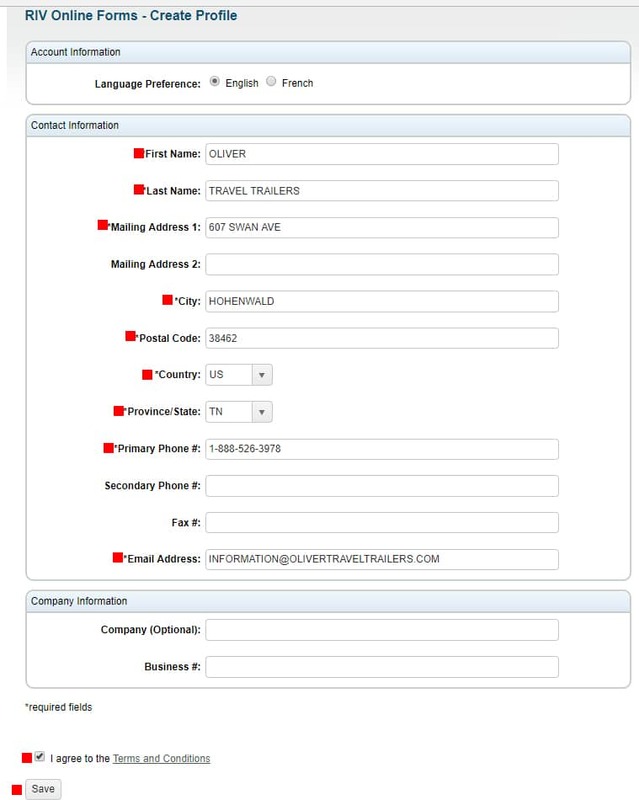 Oliver Travel Trailers is a member of QAI and Transport Canada and as such are pre-cleared for compliance and importing a trailer into Canada. Simply follow the instructions below to ensure that you are ready to cross the border with your Oliver. 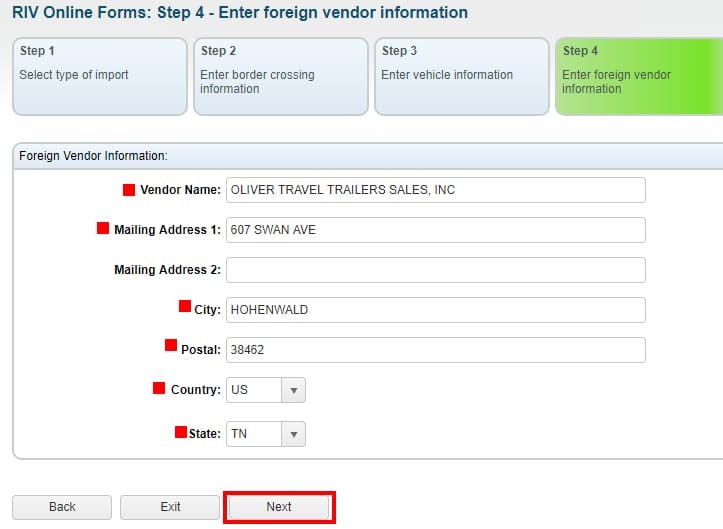 Before we get started on the steps to importing a trailer into Canada, you will be required to show a Recall Clearance letter that we (Oliver Travel Trailers) provide upon purchase. In person or by mail: Contact us. In the picture below you can either register an account (helps keep up with your documents and forms more easily) or Proceed as Guest. Upload required documents. Title, Recall Letter from Manufacturer, Images of your Oliver travel trailer, and any other misc. files you wish to disclose. Review the information and make sure everything is correct. If edits are needed you may use the Edit buttons located at the top right of each section box. Scroll down to the bottom of this page and agree to proceed to Submit your completed form and Pay. Write down/ Print any Confirmation/ Reference Numbers to take with you at the border of Canada. 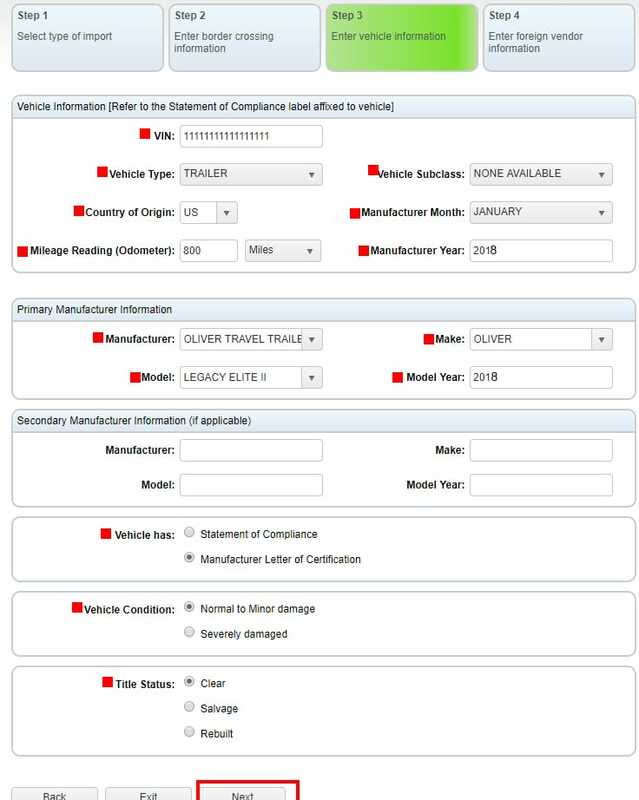 Obtain VIN specific recall clearance letters. These letters must be obtained from the manufactures of the vehicle. 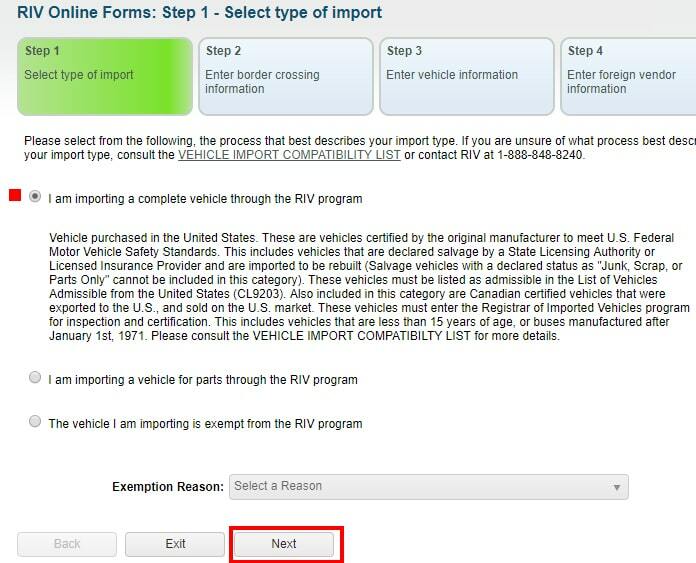 In the case of importing a motorized RV into Canada, you must have a letter from both manufacture of the chassis and the manufacture of the coach (IE: Ford and Oliver Travel Trailers). 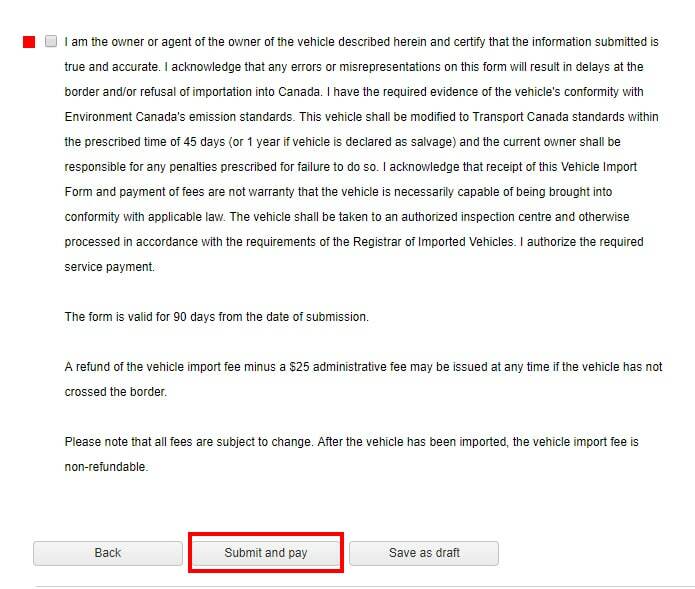 At the border of Canada, you may be asked for original title, registration (or proof of ownership), sales receipts, Vehicle Import Form (Form 1), and the recall clearance letters. With this documentation, you should have a smooth border crossing experience. U.S. Customs: You will need to present the original title and the Travel Trailer to the U.S. border patrols. They will already have the other two copies that were faxed to them, but you may want to bring two more just in case. Canada Border Services Agency (CBSA): The CBSA officers are going to check that your vehicle is admissible, check that you have necessary documentation including the Title and registration or proof of ownership and provide you with the Vehicle Import Form (Form 1). Fill out Form 1 and keep it in your vehicle. You will need this in order to get your vehicle licensed in your province or territory. You may also be able to pay your RIV registration fees at the border. Some border crossing locations will allow you to pay with credit card or cash, while others do not have this capability. 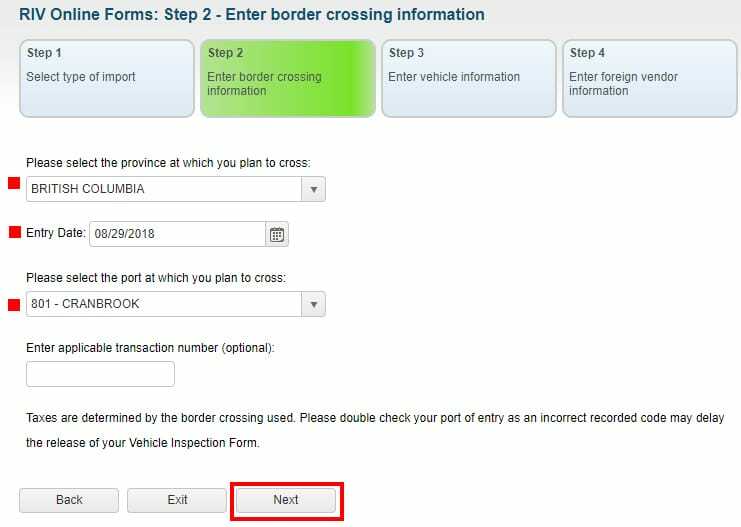 If you do have the option of paying it at the border, it will make the next steps easier. You will have a 45-day grace period to have any needed modifications done and get an RIV inspection. There are a few steps involved. 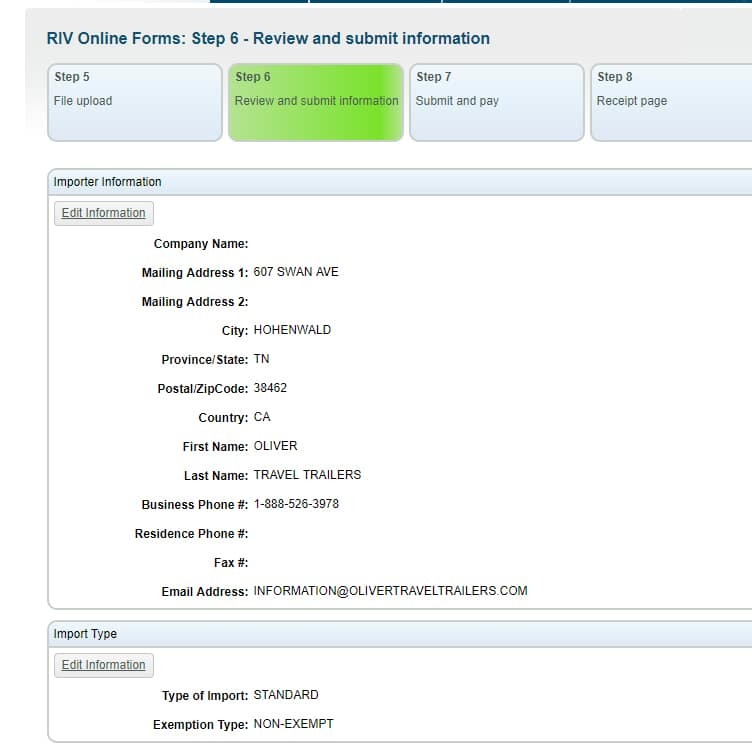 RIV Registration Fee: Once paid, you will be mailed an RIV inspection form. RIV Inspection: Take your vehicle to an authorized inspection center (most Canada Tires are authorized centers) to be inspected. Once passed you will be mailed a Canadian Clearance sticker. 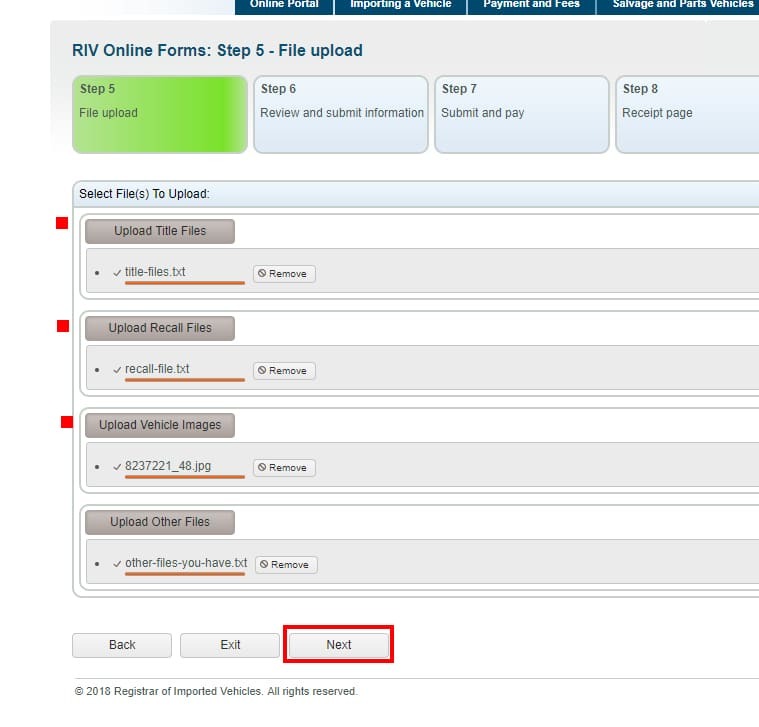 After your RV passes inspection you will be able to get it licensed in your state or province.